New York is a hectic city, and its non-stop hassle reflects in the architecture of the buildings that line up both major thoroughfares and backstreets. Homes cluster together, shooting toward the sky with little space for backyards or balconies. Today, however, both buyers and developers are realizing the value of outdoor spaces as seamless extensions of abodes that are getting larger, better customized and more usable. This shift in perspective has come to define new condominiums, whose urban design is reflective of single family homes. Here are two such projects, where terraces reign supreme. Rising on 211 West 14th Street, d’Orsay sits on a thrilling city crossroad of the Meatpacking District, the High Line, the West Village and Chelsea. This prime location invites some stunning vistas. Designed by renowned French designer, Jacques Garcia (who worked on the NoMad Hotel in Manhattan), and Hill West Architects, d’Orsay features 21 luxury homes. Half of them boast expansive balconies, whose cohesiveness with the indoors is boosted by oversized divided light windows. 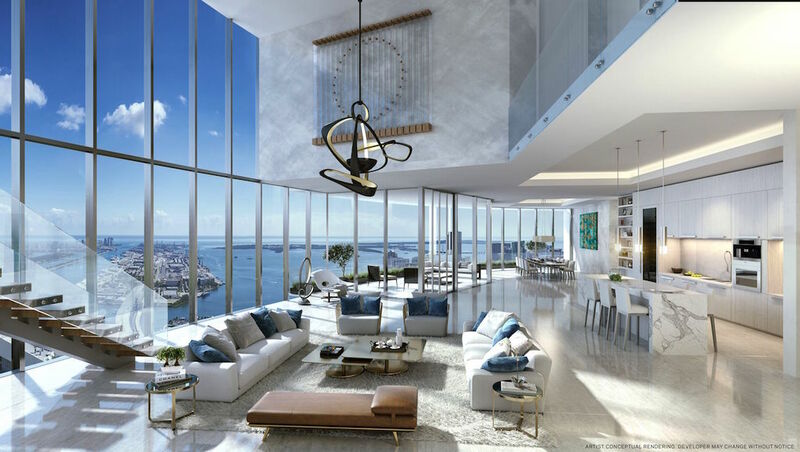 The penthouse comes with nearly 1,300sq. ft. of terrace, which includes a 1,040sq.ft. roof balcony with an outdoor kitchen and a fireplace. This boutique dual building accommodates 13 family-sized residences that each have either a balcony or an oversized terrace. The most astonishing private outdoor spaces belong to the two penthouses, which flaunt terraces off the living room as well as 1,100sq. ft. roof deck above a solarium.